Chuck Ross of the Daily Caller News Foundation put out a summary on Wednesday of information provided to Congress last fall by Nellie Ohr, wife of Justice Department official Bruce Ohr and one-time contractor with Fusion GPS. The information is about the source of Fusion GPS material, presumably on Paul Manafort’s activities in Ukraine – and it goes a long way to confirm some longstanding suspicions about how that material was used, and how it was seeded into the FBI investigation of Manafort. As an addendum to the long-running Manafort saga, it’s not that big a bombshell. 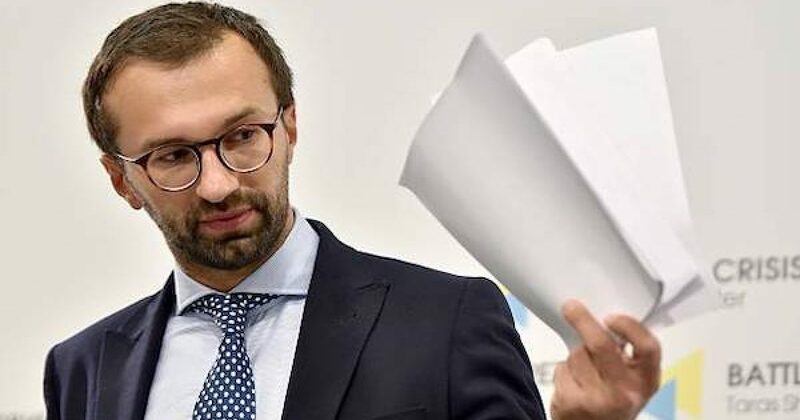 The source alluded to by Nellie Ohr was Ukrainian journalist-turned-lawmaker Serhiy Leshchenko. If it’s not the smoking gun, it’s certainly a gun that was used in a collateral felony related to the same crime. Again, Nellie Ohr’s testimony in 2018 indicates that Leshchenko was a source for Fusion GPS during the 2016 campaign. Serhiy Leshchenko has been known for some time as the source of material published in August 2016 on Manafort and the supposed “black ledger,” the authenticity of which, as Chuck Ross points out, has never been confirmed. Now that there is such evidence, a lot of things fall into place. Leshchenko’s involvement with Fusion GPS draws a straight line from the DNC and the Clinton campaign to the Mueller probe in the form (mostly) of “people connections.” The dots connect in the following way (some material cited from Jeff Carlson’s invaluable The Markets Work, link below. Carlson’s links can be followed from his text). DNC official Alexandra Chalupa, a Democratic operative of Ukrainian heritage, was focused in early 2016 on Paul Manafort and his activities in Ukraine, briefing the DNC Communication staff on Manafort on 29 March 2016, the day after he joined the Trump campaign. Two days before her presentation, Michael Isikoff published a Yahoo News story on Manafort’s dealings with Russian oligarch Oleg Deripaska. Note two major points about these facts. First, at the time of Isikoff’s 26 April article, Deripaska’s law firm (i.e., his legal representative) was a client of Orbis Business Intelligence, Christopher Steele’s firm. Steele had essentially lobbied for Deripaska in the U.S. and brokered meetings for him. Moreover, Steele and Fusion founder Glenn Simpson had known each other since at least 2009; i.e., they were well acquainted and did not connect at random for the notorious dossier whose compilation began a few weeks later in 2016. The second point: this period – March-April 2016 – was when Fusion approached the law firm Perkins Coie about contracting to perform opposition research for the Clinton campaign and the DNC. The contract for the work was made during this period. I may seriously CRY if all of these people get away with this stuff...I'm so disgusted. Btw, haven't we been told all along that these sources were Russians? So now we know at least one source was an Anti-Trump Ukrainian who thought Trump was too pro Russian? Michael Isikoff, of course, would go on to be one of two journalists who wrote about allegations from the Steele dossier in September 2016 (the other being David Corn of Mother Jones). Steele, meanwhile, contracted with Fusion GPS and produced the first memo of the dossier on 20 June 2016. According to reporting from 2017, he first provided part of the dossier to the FBI on 5 July 2016 (to his old handler from the earlier FIFA case, presumed to be Special Agent Michael Gaeta). As widely reported in recent weeks, Steele met with Bruce and Nellie Ohr for breakfast on 30 July 2016. At that point, Nellie Ohr had been on contract for some months to Fusion GPS. What we now know is that Serhiy Leshchenko was a source for Fusion GPS at this time. Chalupa told Politico she had developed a network of sources in Kiev and Washington, including investigative journalists, government officials and private intelligence operatives. When Trump’s unlikely presidential campaign began surging in late 2015, she began focusing more on the research, and expanded it to include Trump’s ties to Russia, as well. Notice that this was before Serhiy Leshchenko put out information of his own accord. On 19 August, Leshchenko held a press conference in Ukraine to publish his allegations about the “black ledger,” and the payments by Ukrainians to Paul Manafort (which were from the 2007-2009 timeframe, and thus did not implicate Donald Trump, but supposedly created suspicions about Manafort as a Trump associate). CNN had the “scoop” before Leschenko’s press conference. With Leshchenko being a source for Fusion (and Fusion working for the DNC), we needn’t look far afield for the likely pathway for his information to CNN. Now recall that Bruce Ohr was keeping DOJ official Andrew Weissmann, as well as Deputy FBI Director Andrew McCabe, apprised of dossier information coming from Steele in 2016, both before and after Steele was dismissed by the FBI as a confidential source. (Steele was fired in October 2016, after it became clear he had shopped information from the dossier to the media.) After the 2016 election, Ohr’s information from Steele was fed into the FBI via depositions – debriefings – from Ohr, recorded in Form 302s, or formal records of testimony from sources and witnesses. This continued into 2017, including 302s dated in January, February, and May of 2017. The point has been made numerous times that it was unbecoming, to say the least, for either McCabe or Weissmann to have a role in investigating Russia, Trump, or Russia-Trump, given that circumstance. But there is another point to be made about Weissmann’s role, now that we know Leshchenko was a source for Fusion GPS. Leshchenko’s involvement with Fusion serves to bolster the long-held suspicion that Fusion was behind the 11 April 2017 meeting between AP reporters and the FBI, at which the reporters told the FBI about Paul Manafort’s storage locker in northern Virginia. The AP reporters referred very specifically to the storage locker holding material relating to the “black ledger.” (See here as well.) The purpose of their meeting was transparently to seed FBI agents with the information Leshchenko had alluded to in his presser in August 2016. The reporters dangled before the FBI the prospect of finding files full of evidence on shady payments and Ukrainian names in the Manafort storage locker. In the two posts from last year, linked above, I summarized the case that the most likely sources of this information were Fusion GPS and Alexandra Chalupa. Now we know that the chief articulator of the “black ledger” narrative, Serhiy Leshchenko, was acting as a source for Fusion GPS in 2016. The Weissmann link is especially important for two reasons. First, Weissmann was receiving the special updates from Bruce Ohr, who was a conduit for the Fusion GPS information, in 2016 and early 2017. Second, Weissmann arranged the 11 April 2017 meeting. His arrangement of the meeting, in fact,t annoyed the FBI at the time, according to other sources in the Bureau. The move was considered high-handed, as it was done without prior consultation. Weissmann was present at the meeting, and it appears that he directed the interchange at key points, prompting elements of the discussion that would have cued the FBI to search particular overseas banking connections for information on Manafort. Moreover, it appears that the 11 April meeting took place in connection with what Peter Strzok referred to as a “media leak strategy,” seemingly involving the investigation of the two Trump associates specifically named in the dossier, Paul Manafort and Carter Page. Weissmann having an active role in that effort would be problematic in and of itself. The final dot in the straight line lands us at the Mueller probe, where Weissmann has been serving as Mueller’s deputy. In other words, little more than a month after arranging a meeting at which AP reporters passed the FBI information about Manafort that smelled strongly of Leshchenko, and probably came from Fusion GPS – which was still being paid by Democratic donors to do oppo research on Trump’s associates – Weissmann became part of the special counsel staff. In case it isn’t clear, the problem with that is that Weissmann was probably complicit in funneling oppo research on one of the Mueller probe’s subjects to the FBI, just a few weeks before he joined the investigation of that same subject. This needs investigation, and urgently. Weissmann should never have been put on the special counsel team. Meanwhile, there are other connections in the “Leshchenko” orbit as well. One goes directly into the Obama administration, through Christopher Steele to Victoria Nuland and the State Department. The point here is not that Leshchenko himself figured in the link (although he might have, and I would say probably did. That isn’t demonstrated by the facts in evidence, however). The point is that the link takes on new significance once we know that Leshchenko was a source for Fusion GPS. Leshchenko’s role means Fusion was receiving information directly from a Ukrainian source, presumably the information on Manafort. This must change our view of how the dossier was compiled, shifting some of the impetus and “expertise” away from Steele and toward the Alexandra Chalupa nexus. Coupled with the well-known contributions of Clinton cronies Sidney Blumenthal and Cody Shearer, who essentially came up independently with a second “dossier” covering much of the same material, it does raise real questions about what contribution Steele himself actually made, other than serving as a conduit for the dossier into the FBI. The already shaky case that Steele legitimately found juicy “intelligence” through his former spy network is on its last legs here, and one has to be more and more convinced that the picture we have of the Steele dossier itself is a false one. The dossier was never “opposition research” done by a former spy at all. It was written from the beginning to seed media coverage, and frame a – pardon the expression – trumped-up corruption case to feed the FBI with. After all, if Democrats at the DNC, and responsible officials in the DOJ and State Department, had information they really considered legitimate that Paul Manafort was behaving corruptly prior to joining the Trump campaign, and thus represented a source of vulnerability and exposure for national security, why did the Obama administration just sit on that information for months instead of talking to Trump about it? Victoria Nuland had been watching Manafort in Ukraine since 2014, as had the FBI. Alexandra Chalupa was researching Manafort by late 2015, and briefed the DNC staff on him in March 2016. Yet the Democratic Obama administration was apparently moved to do nothing other than stand by while Fusion GPS was fed the “black ledger” story by Leshchenko, and churned out the dossier memos to shop to the media and the FBI. Oh. Well. The Obama administration did one other thing: it spied on the Trump campaign, both through FISA warrants – initially a still-extant warrant for Manafort, and later the warrant on Carter Page obtained using the Steele dossier – and through backdoor unmasking by top national security officials. The other linked dot is to John McCain’s one-time aide, David Kramer. Kramer is the one who received a copy of the dossier from Steele in a secret-squirrel “spycraft” meeting in London, in December 2016. Chalupa also mentioned to the DNC staff that she had discussed Manafort with the ambassador, when she gave the brief on Manafort on 29 March. The (rather obsessive) urgency Chalupa was giving this matter probably meant the visiting lawmaker, Olga Bielkov, was briefed on it at the Ukrainian embassy before she held her meetings in April with U.S. officials. It is thus very likely that David Kramer knew in early April 2016 of Chalupa’s, and hence the DNC’s, focus on Manafort. As with so many things related to Russiagate, it seems less random in hindsight that Kramer happened to learn of the dossier from Sir Andrew Wood, long-time British diplomat and former UK ambassador to Russia, at a conference in Canada in November 2016. It’s likely that Kramer was well aware of the Manafort focus long before the 2016 election, and knew the significance the Ukrainians understood the U.S. Democrats to be placing on it. Kramer is reportedly the source who gave the dossier to BuzzFeed, which published it in January 2017. Some former Fusion GPS contractors have questioned the firm’s work on Manafort. Graham Stack, who contracted with Fusion in 2016, argued in a Sept. 17, 2018 op-ed that the firm misrepresented Manafort’s Ukraine work as being effusively pro-Russian. “As a contributor to the Fusion GPS research on Manafort, I share the blame. Because we got Manafort almost completely wrong,” wrote Stack, who has investigated Yanukovych and Manafort for years. In other words, Manafort may have laundered money and/or committed bank or tax fraud in accepting payments from Ukrainians. But the work he was doing wasn’t to advance Russian interests, as opposed to those of the U.S. and our allies in the EU. It was the opposite. Stack has reported that Manafort shepherded top Ukrainian officials to meet in Brussels to sign off on the Association Agreement, which brought Ukraine further into the European Union’s orbit. There has never been anything in the Manafort angle to support the Russia “collusion” narrative.